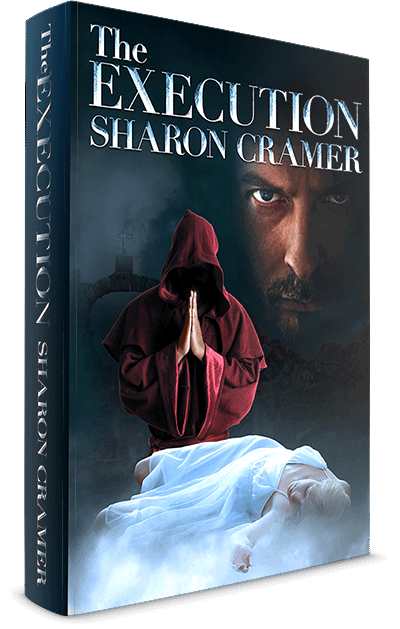 First in The Execution series, parallel lives are fated to collide in this medieval thriller, dark adventure, and love story set in fourteenth century France. A young priest enters the prison cell of a condemned mercenary and is shocked to see the face of this murderer is his own—a mirror image of himself. Unknown to each other until now, the twins form a bond of brotherhood, sealed with their darkest secrets. But with only hours until the execution, the priest begins to question which man should truly be condemned. As the sun rises, the brothers must face morning, and the gallows, together. Only one man will die... but two men will be free. 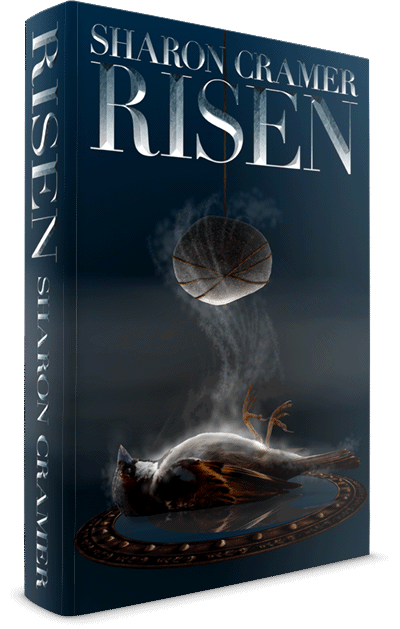 In this sequel to The Execution, Ravan has a chance at a new life. His first task: journey to save Nicolette from the wicked tyrant, Adorno. But old enemies lurk in the shadows, turning his newfound joy into unspeakable terror. Now, he must depend on those most loyal to him as he embarks on a flight like no other. When their worlds collide in the Ottoman Empire, a dark mercenary, an enchantress, their son, and the crippled girl he loves find the power to rise above and overcome for the noblest of all reasons—perfect love. Malik, smitten with such profound hatred of Ravan, comes with one intent: to destroy the mercenary’s daughter. All your favorite characters return in this final chapter of the Wintergrave Chronicles. Venture with them into 14th century Prussia to discover if Malik will be undone or if Niveus…or someone she loves, is lost forever. The towering series is complete! 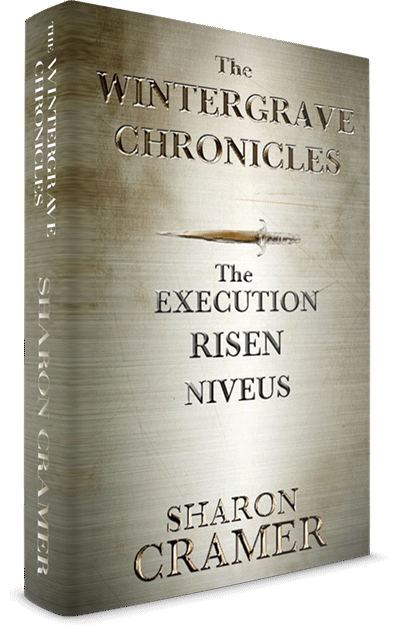 The Wintergrave Chronicles showcases all three novels—The Execution, Risen, and Niveus. 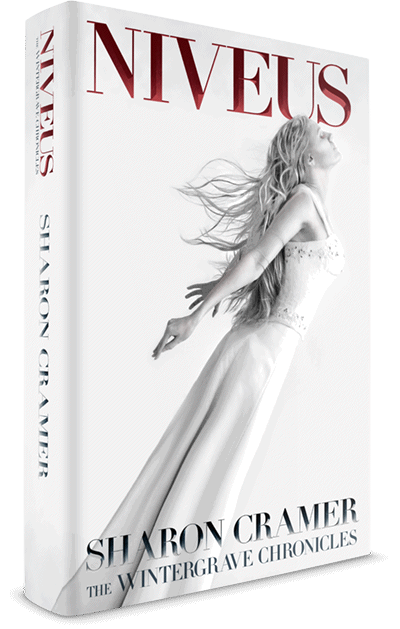 Follow your favorite characters through this epic saga about love, hate, revenge, and redemption. Parallel lives are fated to collide in this medieval, paranormal thriller, set in fourteenth century Europe. When a young priest enters the prison cell of a condemned mercenary, he is shocked to see the face of this murderer is his own—a mirror image of himself. Unknown to each other until now, the twins form a bond of brotherhood, sealed with their darkest secrets. So begins the three-book series as it follows the triumphs and heartaches of the brothers and those they come to know and love. 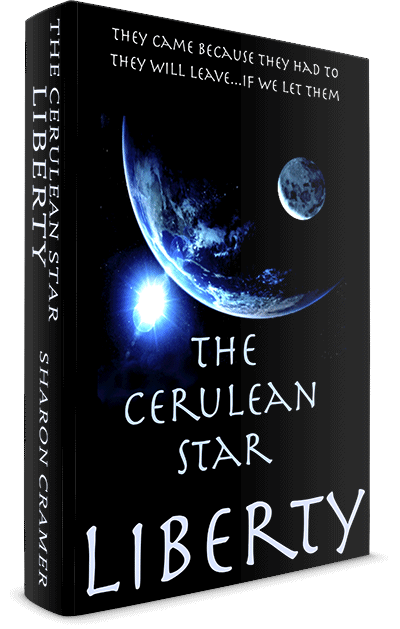 In Liberty, the first in the Cerulean Star series, three alien children take their parents’ ship, the Cerulean Star, out without their permission and are totally hidden when a galactic tsunami sweeps across their galaxy. Caught unaware, they are lost, with no way home. Two years later, the three siblings are still searching for a way home when a small forest in Kansas appears to be the perfect place to harvest oxygen. But three human kids are not the only ones who’ve seen the beautiful, blue ship. Now the six children, led by the brilliant and frailest of them—Liberty—struggle to regain the ship and its precious freedom. 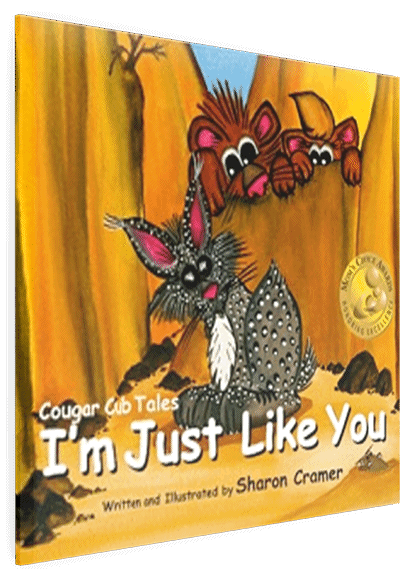 Cougar Cub Tales: I’m Just Like You is about a cougar cub brother and sister who, one day, encounter a creature very unlike themselves. They have ungrounded apprehension about whether or not the blind bobcat is “a REAL cougar cub”. By the end of the tale, they realize that, despite their differences, they really ARE the same where it counts. They learn to overlook their physical differences as they embrace their new friend. It is a timeless story that deals with the everyday issue of intolerance, especially regarding physical difference and disability. It is written in a wonderful nonsensical rhyme, and the eighteen watercolors are an exquisite representation of this charming tale. 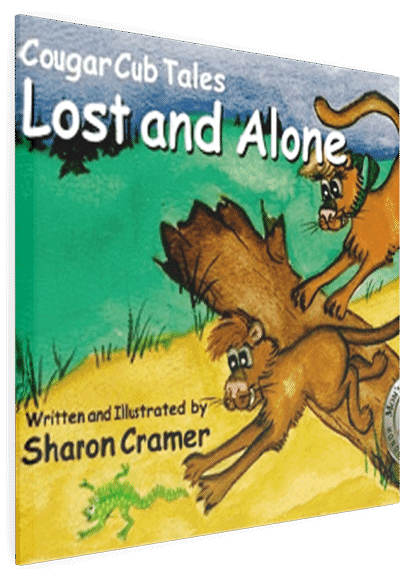 Lost and Alone, is about two sibling cougar cubs who live alone after losing their mother. The cubs are at odds one day, as siblings will be, and they decide to go their separate ways. The adventure becomes lonely and the cubs discover that the single most important thing is to find one another. Unusual circumstances come into play as the cubs are wonderfully reunited, never again to be separated. The story deals with the everyday childhood issues of friend or sibling rivalry and spats and conflict resolution. It communicates to a child in a wonderful, nonsensical rhyme, and the eighteen watercolors are an exquisite representation of this timeless story. 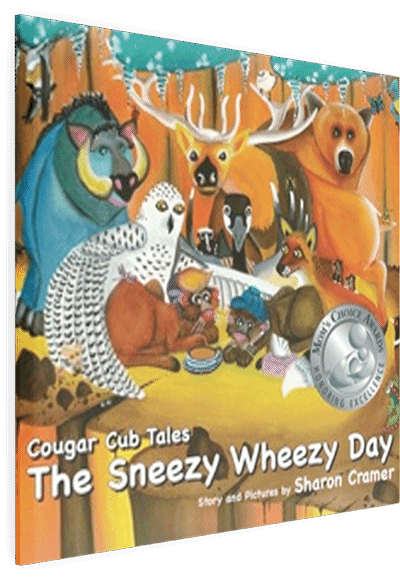 From the award-winning series, Cougar Cub Tales: The Sneezy Wheezy Day continues the adventures of the Cougar Cub Brother and Sister. When one of the cubs becomes ill, and they decide to seek their well-intentioned friends for treatments and remedies for Brother Cougar’s ailment. One friend even tells the cub, “Tickle your nose with the tail of a goose and do it before the next blue moon rise!” Although the recommendations are sincere, the final remedy is a sibling’s love. The rhyming verse is captivating, not just for the child, but for the adult reader, and it is illustrated in vivid watercolor. A heartwarming story about negotiating childhood illness, The Sneezy Wheezy Day approaches this common childhood issue in a hilarious and lighthearted way. Make sure your child searches for the small, additional creature on each page! Marlow has a Monster, and he's not very happy about it! Every night, Marlow is visited by this unwelcome guest. It pesters him terribly and gets him in trouble with his parents! At his wits' end, Marlow tries to give the Monster to little sister, Sarah. Is it Sarah who finally figures out what to do with the Monster? Rendered in visually stunning detail, the book is quill pen and black ink, and the only splash of color is the Monster! 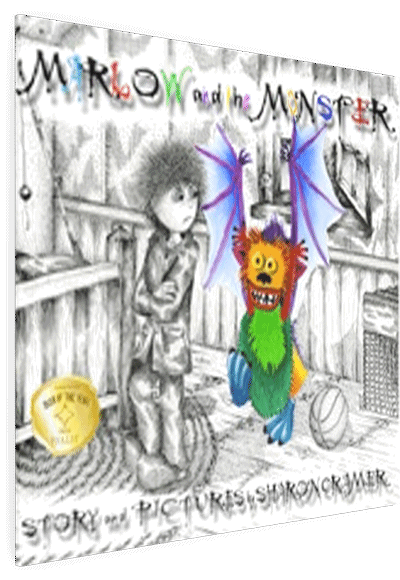 Enjoy this walk on the wild side as you and your small ones help Marlow negotiate his Monster and learn that scary things are not always as they seem. Don't forget to find the mouse on every page!